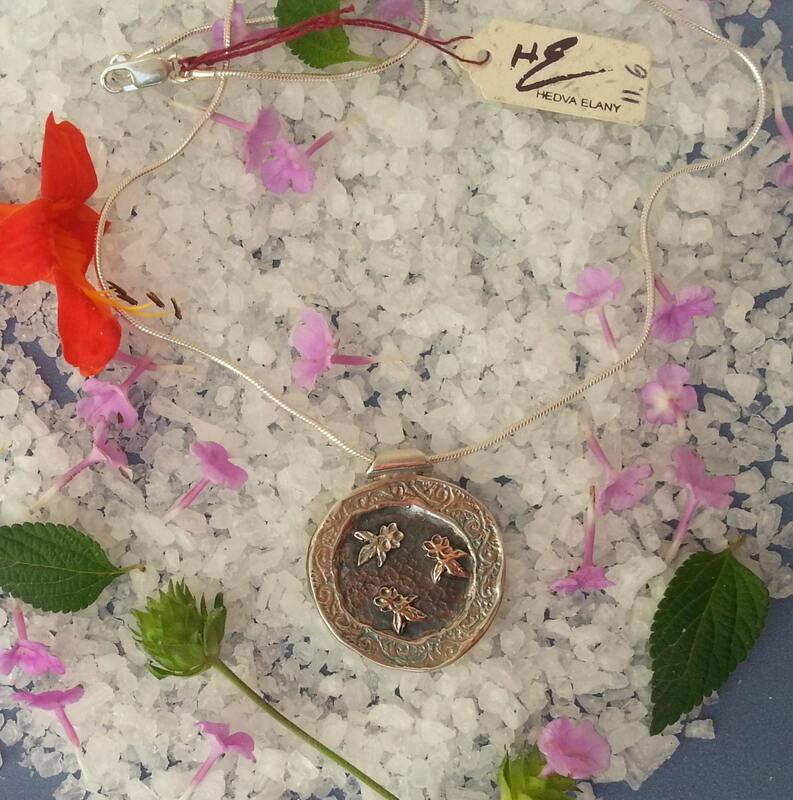 This necklace is designed to welcome spring summer. It portrays three flowers in a circle. One flower is made of sterling silver, one of rose gold and one of yellow gold. 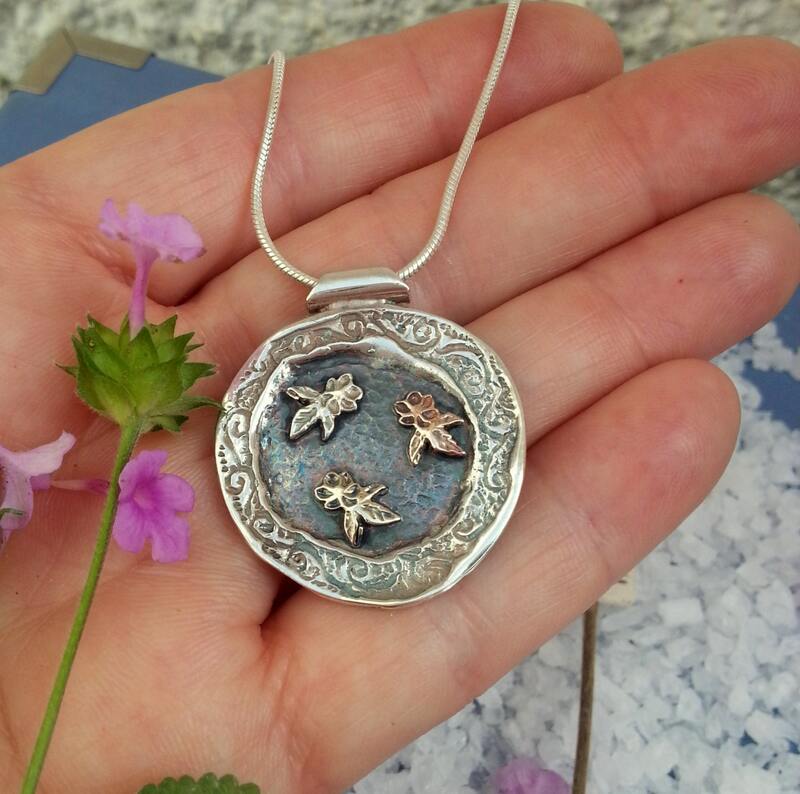 The sterling silver pendant has a shape of an engraved ancient coin. 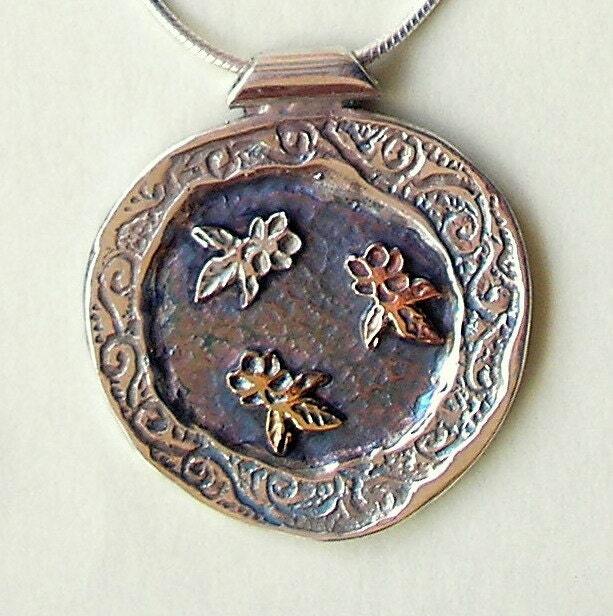 It is oxidized in the center to give a black beautiful background to the flowers.